Check out Tobi's Veda Bodysuit Your closet could use a good boho boost. We've got just the thing. Get ASTR's Veda Rust Bodysuit, featuring captivating velvet floral print, wrap construction, short flowy sleeves, and a back tie. Plan a picnic in the park and wear this bohemian bodysuit, and don't forget to pair it with a maxi skirt or high waisted culottes. Your closet could use a good boho boost. We've got just the thing. 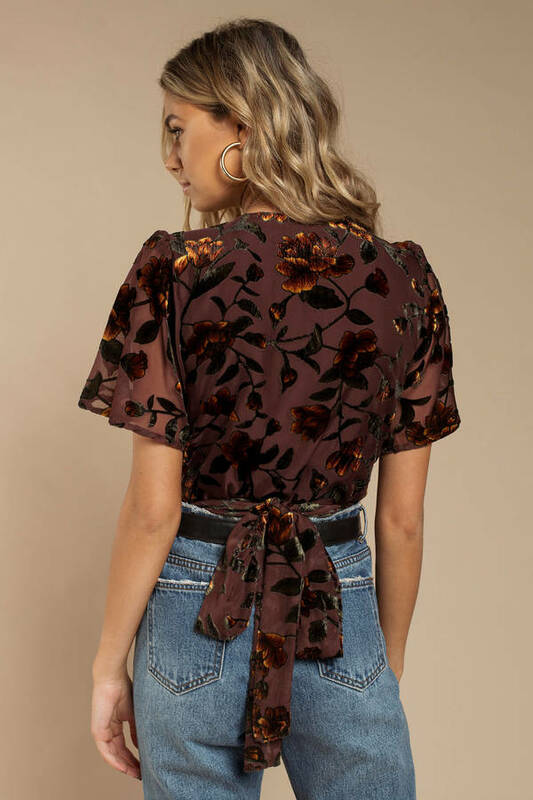 Get ASTR's Veda Rust Bodysuit, featuring captivating velvet floral print, wrap construction, short flowy sleeves, and a back tie. Plan a picnic in the park and wear this bohemian bodysuit, and don't forget to pair it with a maxi skirt or high waisted culottes.